Who thought an anime about figure skating would get this big? Yuri!!! On ICE is one of the first anime to be completely embraced by an entire sports-related community. While many people support the show for its fluid portrayal of gender and sexuality, Yuri!!! has received an outpouring of support from the figure skating community, simply because its portrayal of figure skating is so realistic. On Thursday, the show received another backer in the form of two-time Olympic figure skater and NBC Olympic analyst and personality, Johnny Weir. It’s amazing that Johnny Weir has not gotten around to actually watching Yuri!!! On ICE, considering various aspects of the show have been inspired by his career. For example, one of Victor Nikiforov’s outfits in a flashback from episode seven is a not so low-key reference to Weir. Also, Yuri’s story starts at the Sochi Grand Prix Final, the same place where Weir began his career as an announcer during the 2014 Sochi Olympics in Russia. Yuri!!! On ICE borrows heavily from real life figure skating. 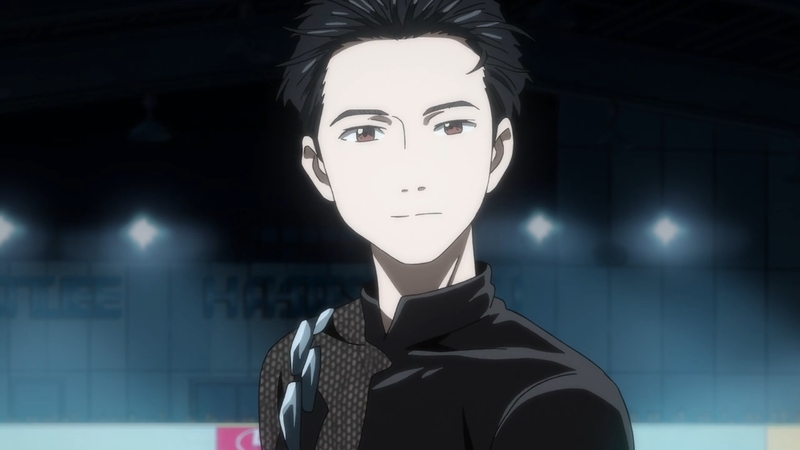 The main character, Yuri, seems to be inspired by Yuzuru Hanyu, the first Japanese person to win a gold medal in men’s figure skating. He won the event wearing a costume designed by Johnny Weir. Furthermore, similarly to Yuri, Hanyu’s idol was also a Russian figure skater, who suddenly retired from figure skating during the 2014 Olympics and made room for Hanyu to become the gold medal holder. Deep into the season, Yuri!!! On ICE is shaping up to be one of the most popular sports anime in a while, even more popular than Haikyuu! and Slam Dunk. We hope somebody decides to skate to the opening theme song at the next Olympics.